Last year, some of you may remember that we helped both Saidi's mum and Steven's mum to start new businesses; so we were excited to find out how they were getting on. Mama Steven, after some initial help from Rieder, is now up and running with her charcoal business and is regularly making enough money to support herself and Steven with their essentials such as food and household items. But the best thing of all is Mama Steven's new attitude towards the business. A recent ban on plastic bags, which she uses to package the charcoal, could have caused her to loose customers but she quickly worked out an alternative solution and has started to put it into place BEFORE running out of plastic bags! This showed us that her understanding of how to run a business has really grown over the last year - she now knows the importance of customers being able to rely on her stocks. Not content with resting on her laurels, Mama Steven is also very keen to expand the business and thinks she might be able to double the amount she sells with a better location. 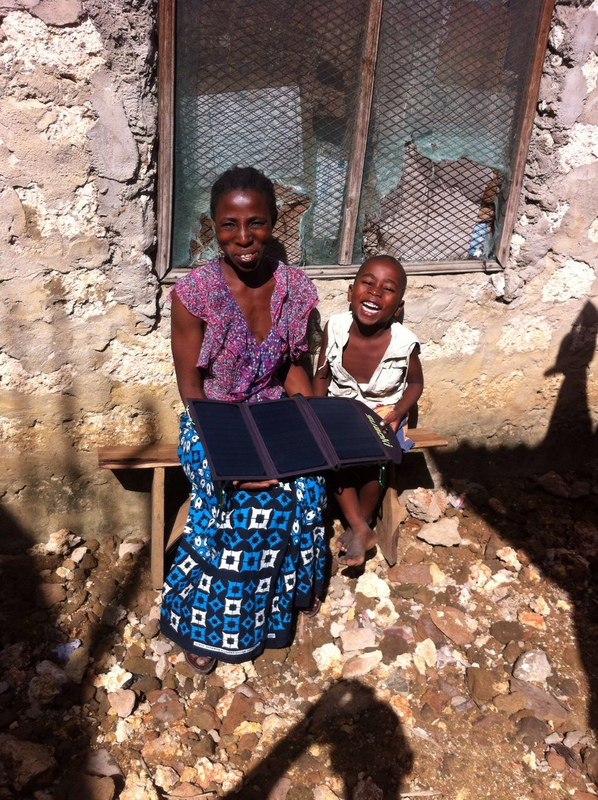 Mama Saidi has also made some excellent progress with the solar panel business. She has definitely mastered the equipment (which is no mean feat for someone who has never had electricity at home!) and has got the hang of charging people and keeping records. At times, her business has been booming – such as when the next-door house was being built and there were tradesmen there all day needing their phones charging. She also makes some good sales at the weekends and when the power is out. However, she told us that recently new electricity lines to the local area have meant that many of her neighbours now have power to their homes. Of course this is great progress for the community as a whole, but it does mean they now no longer need to pay for phone charging, so she relies mostly on passing trade from people whose phone batteries have died whilst out and about. Recently, their landlord has made some changes to the neighbouring properties and they feel it is no longer such a great place to live. We think this presents a good opportunity for the families to relocate to a slightly different area, which could be better for their businesses. Currently their location is not ideal as they are tucked away behind the main road and no one passing would know they were there and open for trade. A move could mean both families have better visibility from the road and would be able to maximise their sales. Watch this space - we will keep you updated with any new location developments!